This past June, I had the good fortune of attending the Wine Bloggers’ Conference in Walla Walla, WA. Now in its third year, this conference brings together the best and brightest from the wine blogosphere as well as many industry representatives and other gatekeeper type personalities. As a wine publicist, it was an incredible opportunity to rub elbows with my fellow colleagues, share best practices, and get to know this relatively “new” group of up and coming wine writers. Over the course of three days, many of my long held beliefs about wine PR were turned upside down, as well as most of my public relations plan (both short and long-term) for Dry Creek Vineyard. Let me explain. My career, thus far, in wine PR has been relatively short. Many of my experiences have been trial by fire and on the job training, which have ultimately served me well. I can think on my feet and react quickly to challenging PR issues. However, much of what I have learned in PR could be deemed as “classic” public relations strategies. That is to say, my PR tactics have been an “if you build it, they will come” strategy. It goes something like this: put together a solid communications plan, indentify key talking points, position spokespeople and prepare them for success, and then work the classic PR channels. When I say classic channels, I mean traditional media—primarily print along with key sommeliers and wine educators. For the most part, this has been a winning strategy. 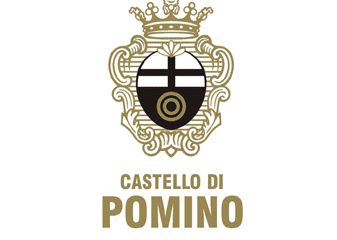 The press enjoy meeting and dining with winery owners, the story of our brand is good and most importantly, the wine is the star of the show. Wine blogging and social media have really turned this traditional approach on its head. For starters, bloggers do not want to be talked “at.” They want to have a conversation. In fact, they demand the conversation. That conversation trickles down not only through their blog but also to Facebook and Twitter. This is point number one of how things have changed: the conversation with a wine blogger is ongoing, while one with traditional print is usually a short-lived exchange. Don’t get me wrong, there are still relationships to develop with both the traditional media and bloggers; however, the relationships tend to be vastly different. The blogger is in constant communication whereas traditional media may only reach out when a question needs to be answered. Secondly, the sheer volume of information that is published and made available for consumption is more vast and substantial then ever before. I can pitch a blogger a story or idea in the morning and before lunch that idea may have turned into a blog topic, posted and available for comment. This is point number two of how things have changed: the internet and blogs have created a never-ending news cycle environment in which most information is immediately posted. The days of “breaking news” and press releases have literally come to an end. Finally, the conversation has extended to the consumer level. Wine blogs have allowed, for the first time, the consumer to enter into the dialogue about a particular wine topic. Traditionally, media never allowed their consumers to have a voice. It was a one-sided conversation. Now, through the comments section of a wine blog, consumers can learn, read, and be a part of topics that interest them. Perhaps most importantly, they can share their own opinions and experiences. This has created a two-way conversation, forever changing how information is shared and exchanged. In summary, wine blogs have changed the landscape of how and where wine information is distributed. This has caused a rather large ripple effect in how we take our messages to market. We rarely issue a traditional press release. Rather, we take our messaging directly to the source, reaching out for individual bloggers to engage them in a conversation. We also consume vastly more information than we did previously. What I mean is, we spend a lot of time reading and commenting on other blogs. We want to know what people are writing and saying on their blog so that when it comes time to communicate, we know that the blogger’s point of view. Finally, we are much more agile and flexible with our plan. Before, we might have found ourselves stuck in the mud on messaging strategy, media training, or talking points. Now our communications are much more streamlined and refined. Our goal is to have the information and be ready to communicate at a moment’s notice. Essentially, bloggers are always plugged in and so are we. Wine blogging and social media are here to stay. 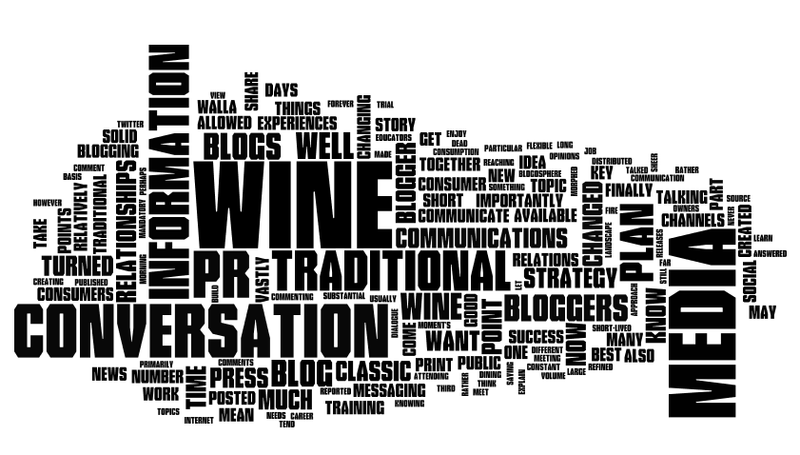 Adopting a solid plan to work with this exciting new media is both beneficial and mandatory in today’s wine PR world. Traditional media is not “dead” as has been so widely reported. Traditional media has simply morphed to meet the changing demands of the marketplace. Ultimately, knowing your audience and creating lasting relationships built on trust and confidence will be the basis of success for any well integrated communications and marketing plan. 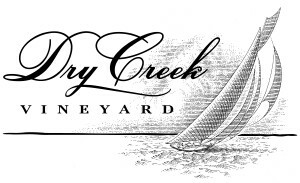 In January 2005, Bill Smart joined Dry Creek Vineyard as Director of Communications. The combination of his enthusiasm for the wine business and solid background in public relations and marketing make Bill one of the most sought after representatives of this Sonoma County winery. When he’s not working for Dry Creek Vineyard, Bill can be found on the golf course in the summer or on the ski slopes during the winter. Along with his wife, Danielle, he enjoys cooking meals and watching movies. A resident of Healdsburg, CA, Bill is right at home in the wine country and enjoys all aspects of his life. Can Social Media Affect The Way We Communicate about Iberian Wine? As the owner of a wine co., I’m reading this article via a FB posting. I’d really like to know what wine bloggers think about actually getting excellent wines in the hands of ready-to-purchase consumers. It seems there’s a lot talk about wine blogging in the wine blogging world and then there’s the world of the average wine buyer who walks into wine shop not having read any wine blogs (which I experience constantly) and is really just up for the next recommendation. Yes, wine PR has changed for sure but the key is still getting new and old consumers interested great wines, not just wine. Ian, you ask an excellent question! And while, I am not a wine blogger, I can try to take a stab at answering your question. In my current role for DCV, I do a little of everything – PR/Marketing and Sales. With my sales hat on, I can say that the last great hurdle for wine bloggers is to start seeing their reviews show up on shelftalkers and POS at the retail level. In fact, I was just having this conversation with a very well known wine shop in San Francisco on Saturday. I had noticed that they were using some reviews/thoughts from several well-known bloggers and I was very impressed. The owner told me that his consumer base was savvy enough to know who these bloggers were and trusted them as a source for wine recommendations. This was AWESOME to see! Granted, this is one instance, in one store, in a very wine savvy city but the point has been made. We send samples to bloggers. Bloggers blog/review the wines. The reviews show up in the stores. Consumers buy the wine. I can honestly say we are headed down this road and I for one am really excited to see it happening! Thanks for the feedback. I hear what you’re saying and see it happening as well. Not to the extent of blog quotes on shelf talkers, but Facebook is quickly becoming a place to create buzz for cool, interesting wines. I think part of this trend includes the general public realizing what’s not interesting and not worth drinking on the shelf as well. That may prove to be even more powerful than we expect. I can answer your question as well. As Publisher of Palate Press: The online wine magazine, I approach your question from the point of view of somebody who bridges the divide between old media (we are an edited magazine) and new media (we are entirely online and work extensively with bloggers – indeed, we might even still be a “blog.” Who knows where the line is drawn?). We publish shelf-talkers with all of our reviews. I know some stores are starting to use them. In those cases, the positive effect of an online source is direct. We get a lot of page views from search engines. Search engine hits usually land on wine reviews. If you look across our entire Ad Network, a collection of approximately 100 wine websites, we get 2 million impressions per month, and about a third of them are from search engines. Most of those are for wine reviews. In other words, this small sampling of wine websites probably generates more than half a million views of wine reviews per month. Sometimes consumers will not even be aware they read a wine blog. If they go directly to a Palate Press wine review, they just see the review. If they click off after that, they might not even realize they were looking at a broader website with stories beyond the reviews. Additionally, so much wine is purchased by word of mouth that it is difficult to identify the original source of a wine buying decision. Did your customer have the wine at a friend’s house? If so, did the friend choose to buy it because of what she read on a wine blog? It is very difficult, perhaps impossible, to drill down to that sort of detail. Perhaps the best way to approach it is they Bill has done. Stop thinking in terms of “traditional media” vs. “blog,” and recognize that one is just a new piece of the other. Ultimately, wine websites will have their effect based upon the power of their writing and the credibility of their palates, a truth in all wine media since Pliny the Elder. Being a reliable source of information, responsive, truthful and building a relationship that encouraged a two-way exchange of ideas is as old as any definition of public relations. What’s changed is the always on cycle and the limitless places to tell a story. When people responded to a company, a product or a person in the past, they found a way. At the heart of it all is a smart person like Bill who enjoys his job, enjoys sharing the story, and tells it well. That’s what it takes, hands down. I thoroughly enjoyed this discussion and yes I agree that it is nice having immediate information at your fingertips. I can’t wait to start seeing blogging comments on shelf talkers. Maybe one day you can even scan the wine and get all of the relevant comments. Thanks for a great article. All I can say is GREAT post! Bill you clearly get it. look forward to rediscovering the wines of Dry Creek! Here is the 2nd time i have come across your blog within the last few weeks. Appears like I should be aware of it.